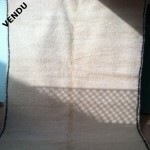 Morocco Berber rugs. 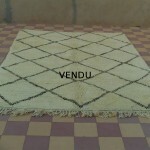 Moroccan tribal art perpetuated the carpet art with these fabulous carpets hand made by Moroccan women. 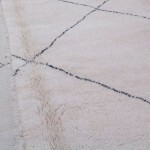 Used in the tents of nomads, low houses of the Middle Atlas, in the high houses of High Atlas, Berber carpets were often a way to protect themselves from the cold. 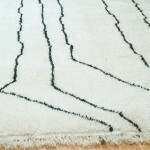 Hand made of Wool, sometimes mixed with cotton patterns, Berber carpets celebrate colors. 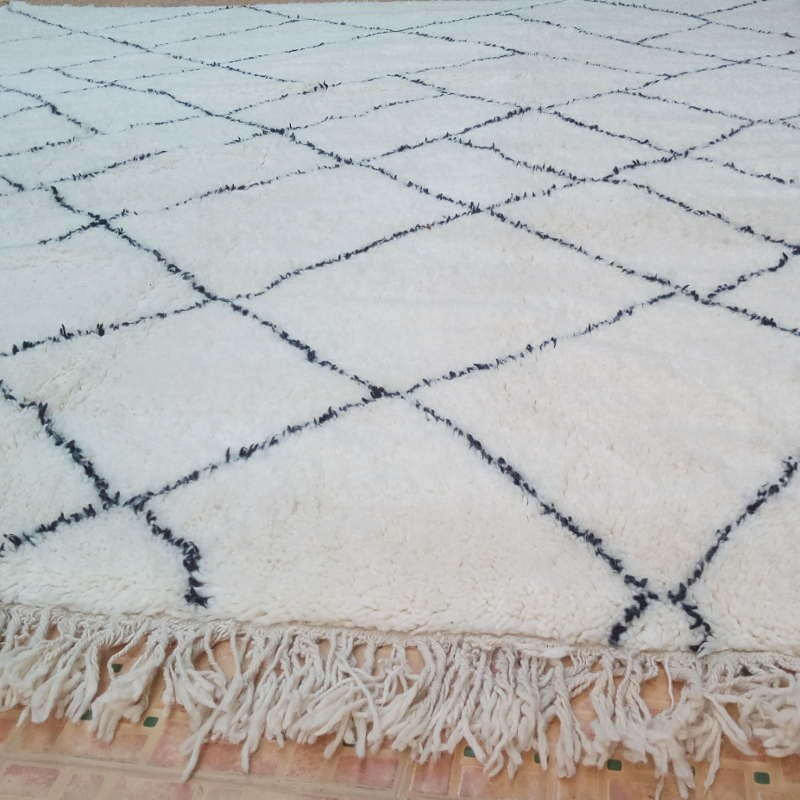 With Yellow and red color carpets Aït Ouaouzguite of the High Atlas, blue color carpets of Rabat, Rose madder colour carpet of Chichaoua or white color carpets of Beni Ouarain in the Middle Atlas, all shades of colors roam the Berber Moroccan carpets Art. 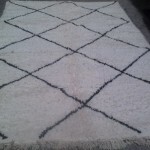 These Hanbel Rugs are very common in the Moroccan-Inspired Living rooms where we can find vintage or contemporary design. 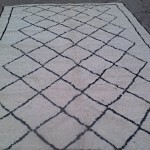 You may also visit our second on line shop of Berber carpets ! 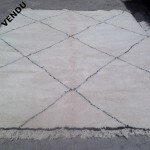 Big Moroccan Beni Ouarain rug﻿ 250 x 350 cm home made in Morocco. 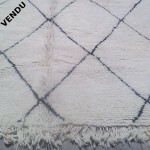 Moroccan Beni Ouarain rug﻿ (215 x 305 cm) 100% wool. 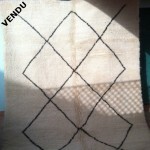 Handcrafted product of Morocco. 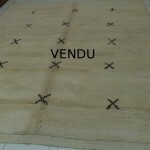 Moroccan Carpet BENI OUARAIN, ivory lambs wool and wool weft. 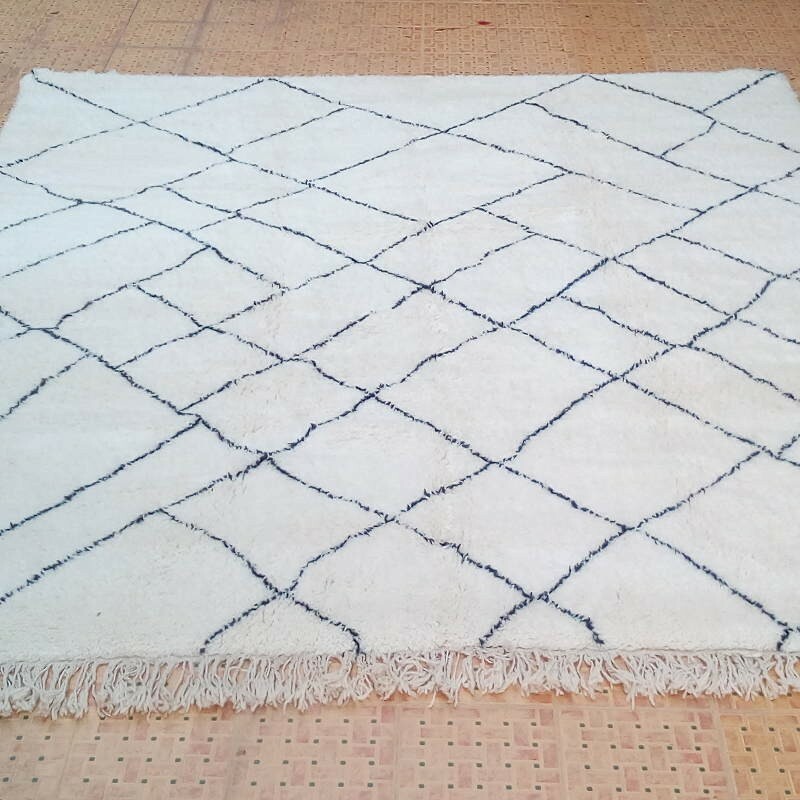 Berber Beni Ouarain rug﻿ of Morocco hand made in the Middle-Atlas. 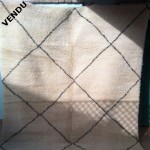 Large ﻿Beni Ouarain Rug, a black & ivory ﻿rug of Morocco﻿.